On our recent trip to Asia, we had a quick layover in Tokyo. This is one of my favorite airports to have a layover because I can stock up on yummy Japanese snacks or Japanese-American snacks, like matcha Kit Kat. 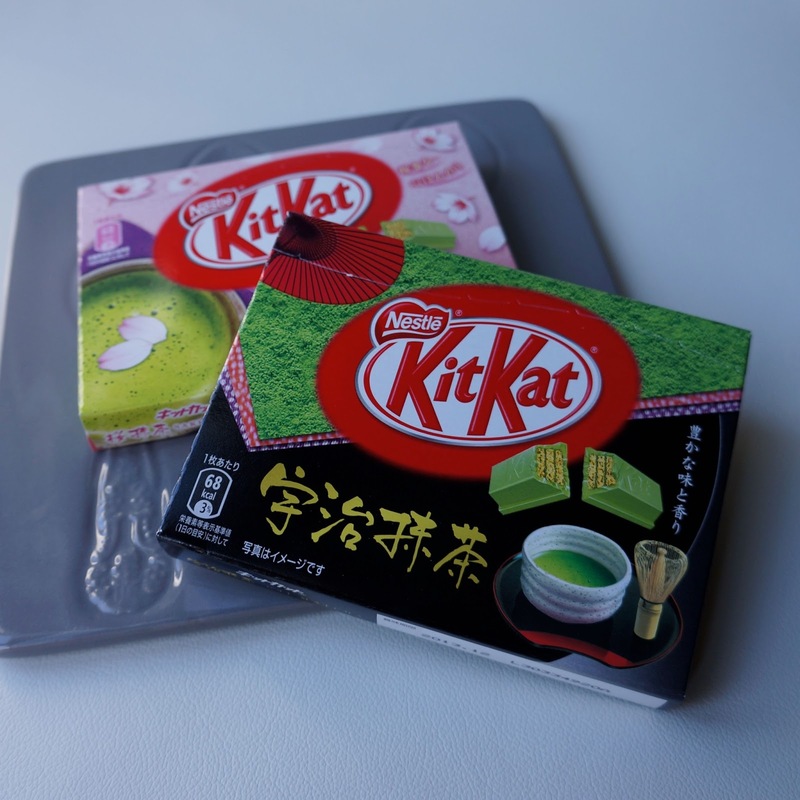 At the Tokyo airport, I not only found one but two types of matcha Kit Kat, Uji and Sakura. 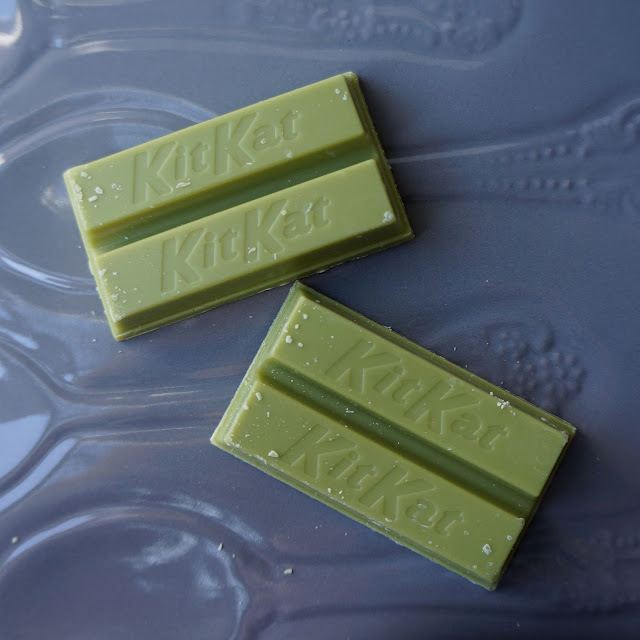 By appearance, you can see that the two Kit Kat's look exactly alike. 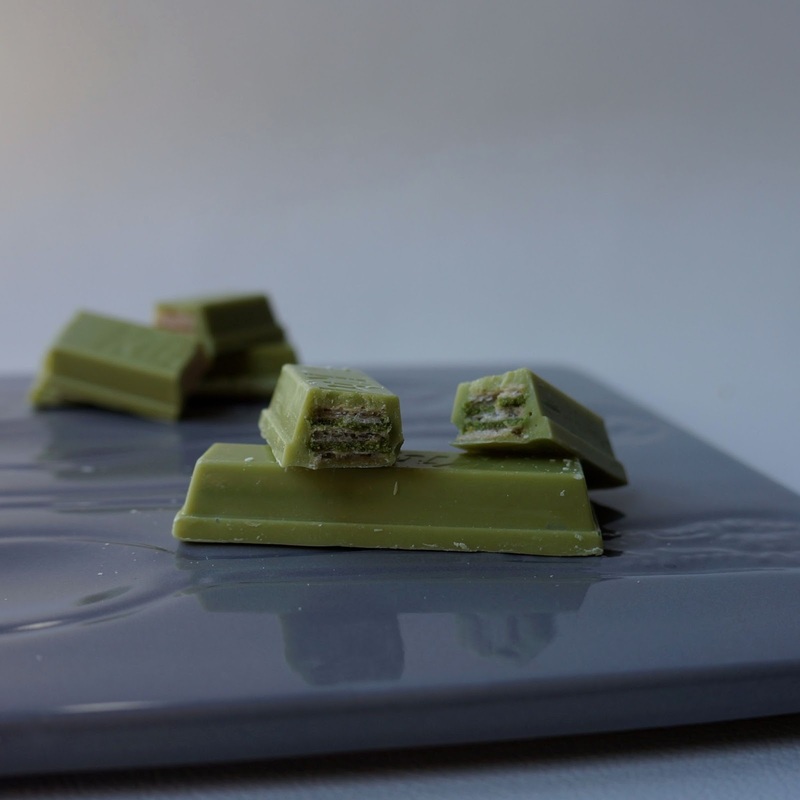 Upon tasting it, I find that the Uji matcha Kit Kat has a stronger matcha flavor and the Sakura matcha one has more of a white chocolate essence. Overall, I thoroughly enjoyed both. I can't wait for my next trip to Asia and layover in Tokyo to grab some more.